1) You can use a photo booth rental to make money for your business. While there is always a cost associated with a photo booth rental, you can actually use this fun photo-snapping experience to drive revenue for your corporate event. There are many ways that you can sell the photo booth experience to event sponsors, including branded photo booth wraps, custom photo frames, backgrounds and animations, and sponsored social media integration with post-event reporting. 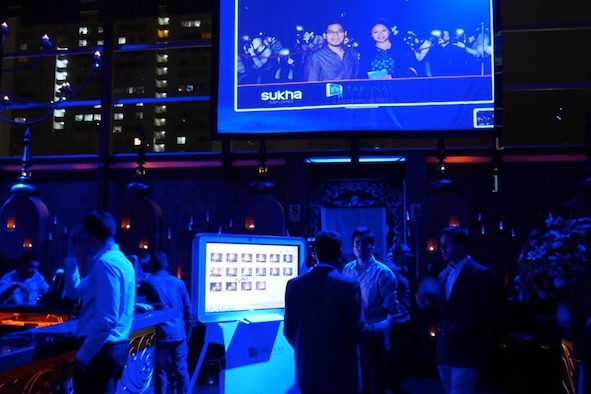 Sponsoring a photo booth at a live event is a great way for sponsors to interact with your event guests in a fun and interactive way, drawing attention to their brand, and ultimately driving valuable reach and results for their business. 2) Partner up to create one-of-a-kind snaps. Providing printed photos is a great way to gift your guests with memorable keepsakes from your event, but it's also possible to take that tangible element one step further! 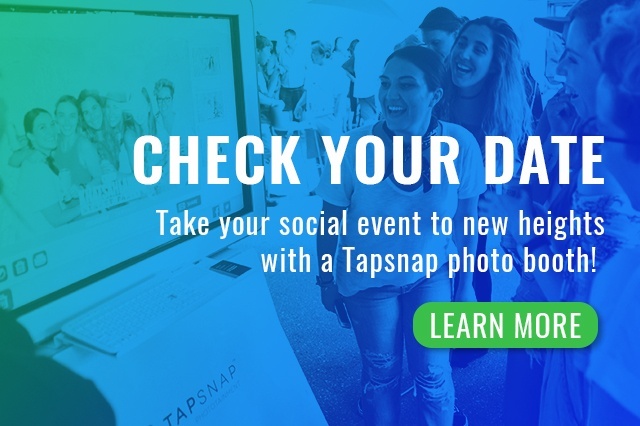 TapSnap's franchisee in Brooklyn, NY (TapSnap 1153) discovered a way to include snaps that you can sip (literally) as a part of his photo booth activation at the 28th annual GLAAD Media Awards earlier this month, and it was a huge hit with guests! In partnership with an innovative creative beverage design company, The Grand Bevy, TapSnap was able to snap photos and have them printed on custom cocktails for the event guests! 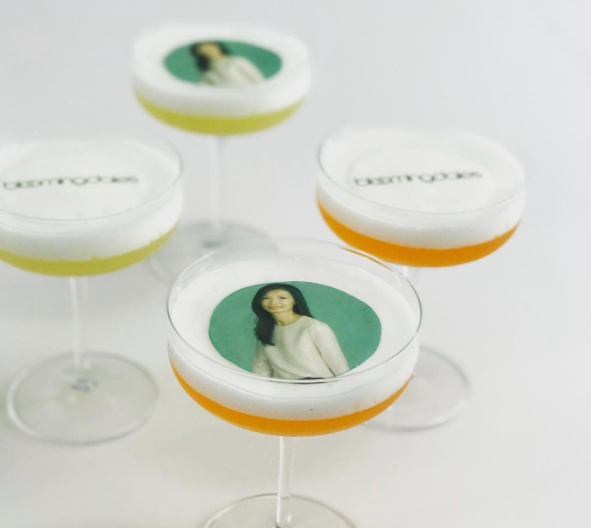 Not only was this a cool new way to incorporate photo booth photos into an event, but guests were buzzing with excitement as they snapped and shared photos of their faces on their drinks. 3) Take social walls to a new level with live photo broadcasts! 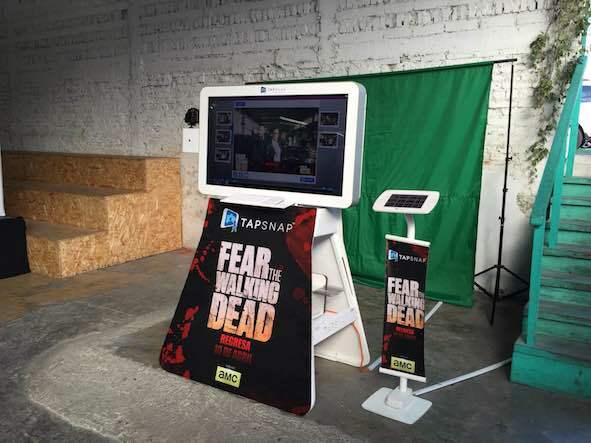 With TapSnap, you can incude a service called SnapCast to your photo booth rental, which allows you to broadcast your photos on a TV or projection screen for everyone in the venue to see! Plus, guests who weren't able to make it to the live event can view the photos live online through an easily accessible gallery. 4) Get your guests moving with fun animated GIFS. Posed photos are fun, but with TapSnap you can take the experience one step further and create fun animated GIFs for your guests to share and save. Not only is this on-trend, but it provides you with a new and exciting way to customized the photo booth experience for your guests! 5) Transport your guests to new places! TapSnap photo booths can be set up outside, so you can incorporate your outdoor venue into the background (garden parties and pool parties!). Plus, by adding digital green screen backgrounds, guests can pose in front of the Eiffel Tower, on a tropical beach, or at the top of a ski hill - all from within the walls of your event. 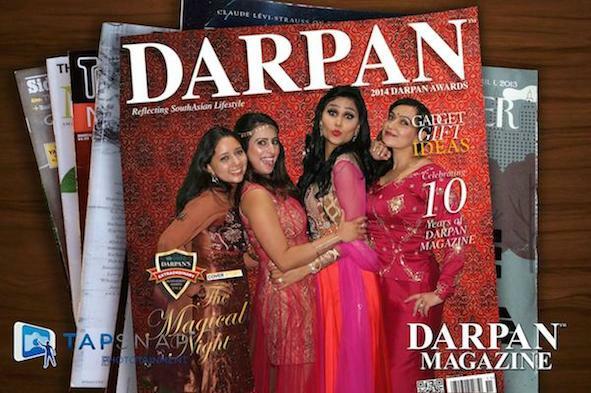 Photo booths have become so much more than an experiential add-on, tap into the power of photo entertainment and think outside the booth with TapSnap! To learn more about all that you can do with a TapSnap photo booth, check out our features page.